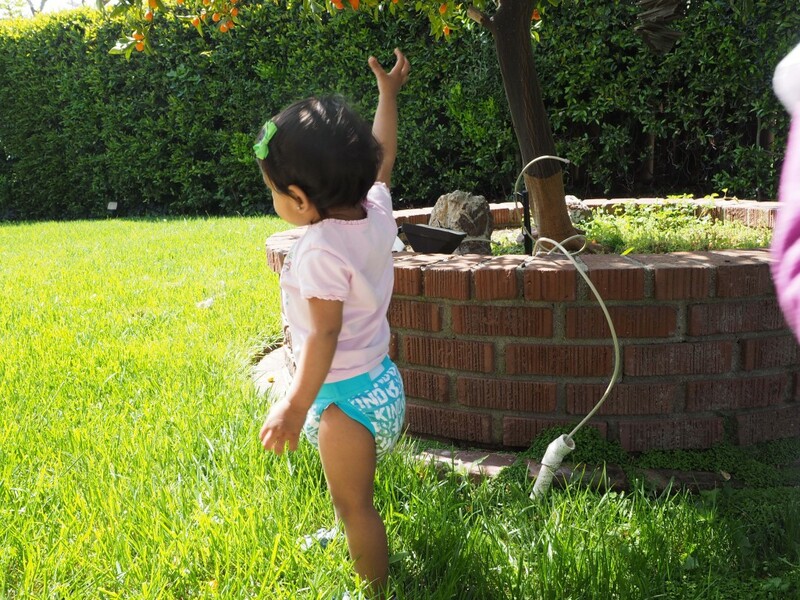 It’s a Good Natured gDiaper Giveaway! Be Kind Week continues here on mycrunchylife. Talking about kindness has really made me aware of how easy it is to be nice and how much more I can do. From a selfish perspective, being kind to others just makes me feel good. It’s a little ego boost that serves everyone. One way to be kind that I haven’t talked about this week is being kind to the earth. We try to be green in our home by driving an electric car, recycling whenever possible, using earth friendly products, reusing all kinds of stuff, and reducing the amount of trash we produce. I was REALLY happy when I looked in the trash can on the curb this week and saw such little trash in there. One of the most tangible ways we reduce our trash is by not using typical disposable diapers. We use gDiapers instead. 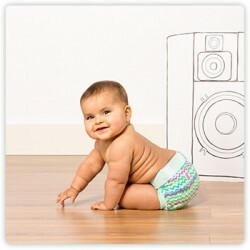 gDiapers are hybrid diapers that allow you to choose what type of insert fits your lifestyle best. We primarily use cloth inserts and wash them at home. When we are traveling, I use gDiapers’ disposable inserts. 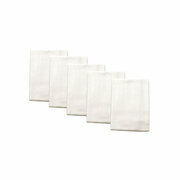 They’re wonderful – super absorbent, biodegradable (!!! ), and even flushable (!!!!!!!!). Don’t try that with a typical disposable; it’ll sadly just need to sit in a landfill for hundreds of years. Raise your hand if you’re interested in a giveaway! Sia is! Hmmm…what should the giveaway be??? gDiapers! The kind folks at gDiapers are generously sponsoring a giveaway! Hooray! The latest release from gDiapers is the Good Natured gPant. I love the colors on this one and for whatever reason, I like the way the g tag looks. 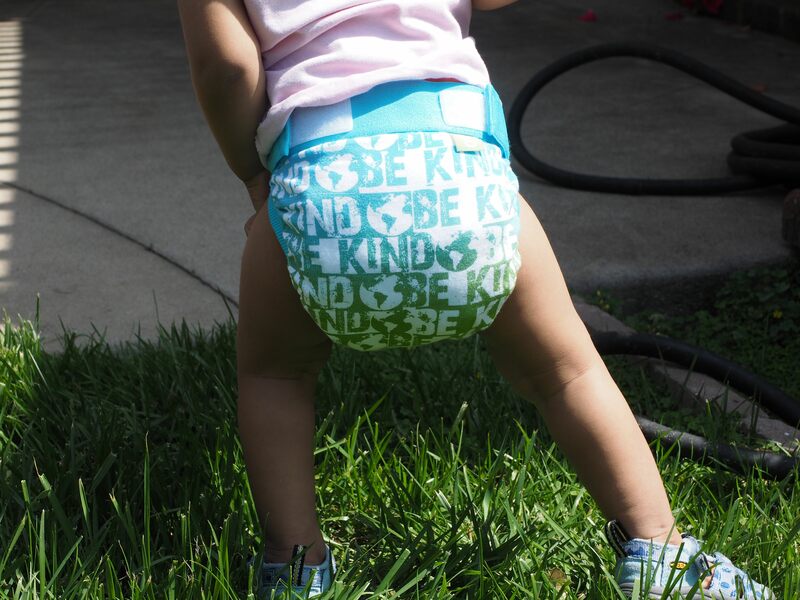 Even Sia’s booty agrees that being kind is the way to go. Kind to each other, kind to our children, kind to strangers, and kind to our mother earth. Love it! I’ve decided that this gPant is the official uniform when we commit random acts of kindness! Do ya want your baby’s bottom to look this adorable? Do ya wanna be kind to the Earth? Do ya? I know you do. 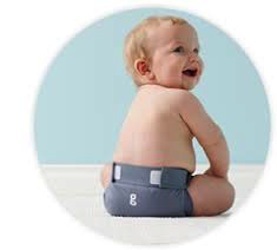 It’s easy to win a free pair of Good Natured gPants in your baby’s size. Just fill out the entry below with something kind that someone has done for you OR something kind you’ve done for someone else. And for a bonus entry, like gDiapers’ facebook page. We’ll randomly pick one winner; entries are open now and will close on Thursday, March 27th at 11:59 PST. The winner will be announced on Friday, March 28th. Thank you gDiapers! In case you don’t win, you can get yours here. Good luck! 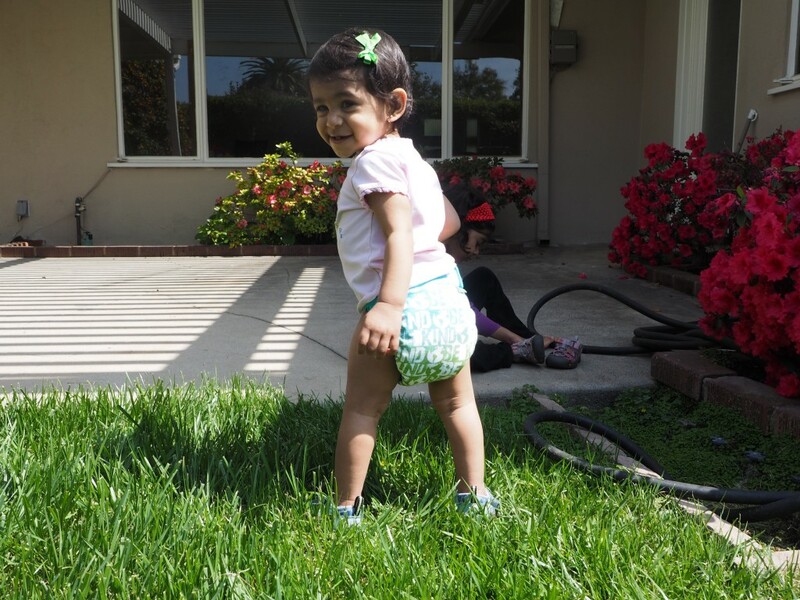 One of the things I love about the cloth/hybrid diapers I use is that they’re versatile and I can use a number of different inserts to fit my needs. Now that I’ve used them for almost three years and two babies, I’ve tried a few different cloth inserts and I thought I’d share what has worked well for us (and what hasn’t). These come directly from gDiapers. They retail for $32.99 for 6 inserts or about $5.50 each. They’re made of 2 layers of baby-soft microfleece and 2 layers of hemp/cotton. Don’t hold up well for heavy wetters or nighttime use, so you end up having to double up. Even that doesn’t work for some. I had a really tough time with ammonia smells and burns with my older daughter. Part of the problem was that I was still figuring out my wash routine. 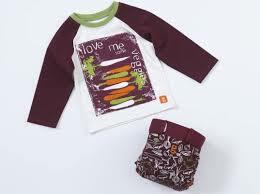 I really liked these for when baby was in smalls. I did not use these in mediums for my second daughter because I felt some of the other inserts were better. I’ve used these with both daughters and while they felt bulky at first, now I think they’re fine. I actually picked up a four pack of these to use in my second daughter’s small gDiapers also. I just cut them in half and then folded it in thirds. These are currently my favorite insert. My mom and I made these a few years back (here’s a link to the tutorial) and I really liked them for a long time. They ended up costing us about $1 each since we upcycled some fleece receiving blankets we had lying around. They are made from microfiber towels covered in fleece (cotton). I just bought these and don’t have a ton of experience with them but so far they’ve been okay. They’re made of polyester and cotton and oddly enough I found them at the dollar store so they were only $.17 each. Inexpensive. Hell. They were super duper cheap. The polyester has me worried about stink issues. Time will tell. It seems like the diaper pail has been stinkier since I started using these. Seems to be a little more finicky with the wash routine; baby had a bit of diaper rash after using these. I had high hopes for these but the rash and stinkies have me worried. I still reach for the homemade inserts and the flour sack towels before these. I have been using some of their doublers successfully, though. All babies are different so you have to figure out what works best for you. 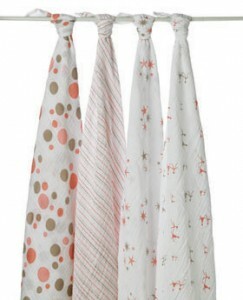 If your baby has sensitive skin, I would stick to the flour sack towels. 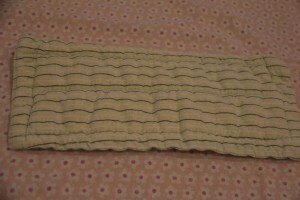 If your baby is a heavy wetter, the homemade or CoCaLo inserts would be a better fit than the gDiapers inserts. 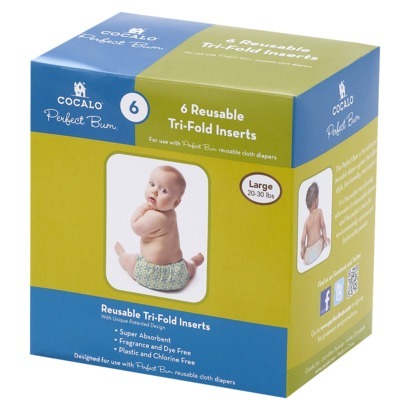 If your bub gets uncomfortable with wetness, use the gDiapers inserts or CoCaLo inserts on top. If you’re strapped for cash, go with the flour sack towels. 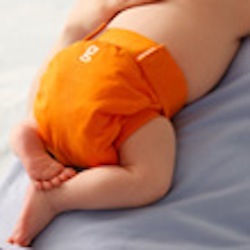 Like most things in the cloth diaper world, there is a lot of trial and error involved. Fall 2013 gStyles are out! 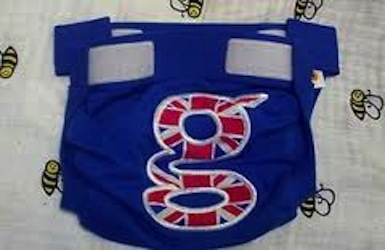 I was so very excited when the fine folks at gDiapers sent me a gLotus set for Sia to evaluate and review. When it arrived, I couldn’t wait to put it on her. I really like the colors on this set. The pants are a rich plum color and I think the combination of the grey and magenta in the dress really go well together and look great for the fall season. I even like the way the green g tag looks on the back of the dress. Let’s be honest. If you have a girl, you most likely have too many pink clothes. These colors are a welcome break from carnation pink. The set’s colors are bold but the dress is delicate and beautiful, just like a lotus. Looks like Sia’s excited to wear the new gStyle! 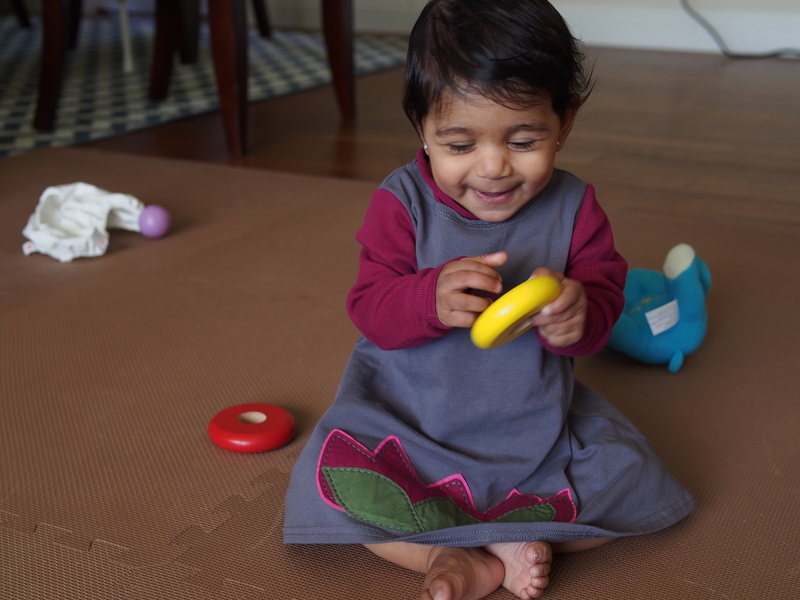 The fabric itself is super soft; the dress and gPants are both 92% cotton and 8% spandex so they’re breathable but give a little, which is especially nice, given how active my kiddo is. 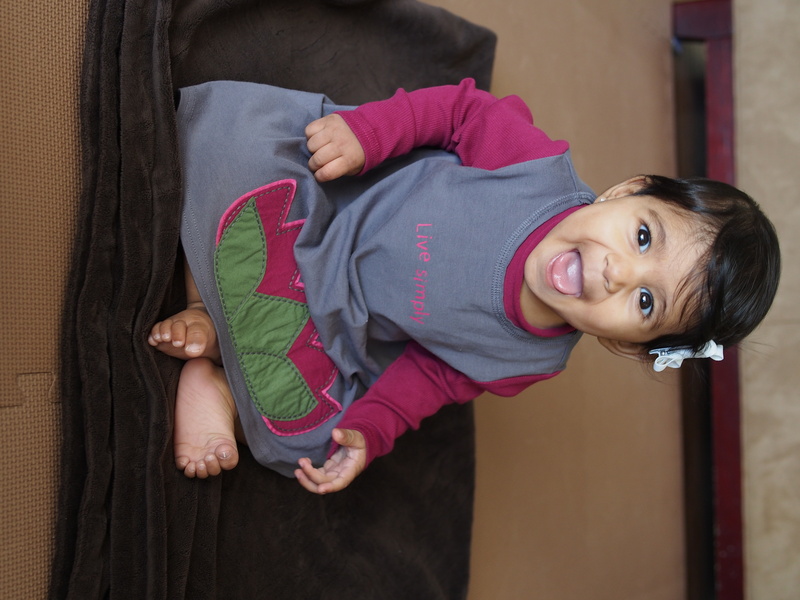 The sleeves are gently ribbed and I love that it says “Live simply” because babies do! gStyles before this have been well constructed with quality materials and the gLotus is no exception. My other sets have held up remarkably well through both my daughters; my older daughter still picks to wear her gTweet dress even though she’s been out of diapers for almost a year now. Sia is 7 months and is wearing a size 6M-12M dress and medium gPants in these photos. She’s on the smaller end of the spectrum and right now I’d say the dress is a little on the large side so I’m happy that this will definitely last through the winter this year (unlike many of her other clothes, unfortunately). 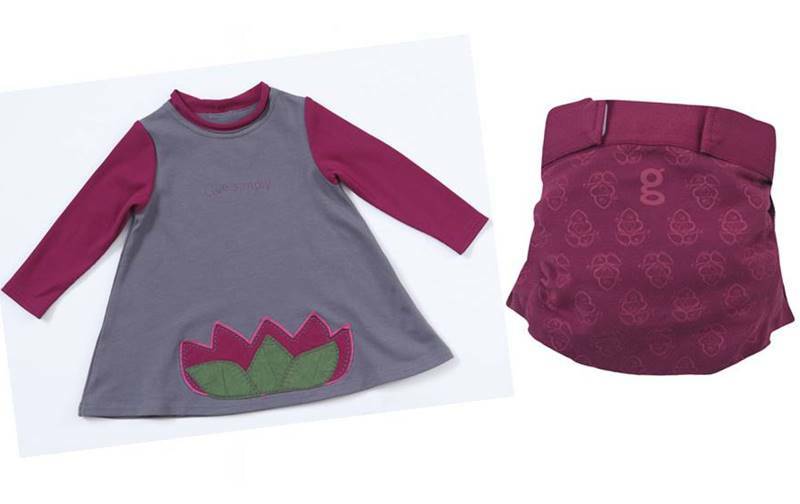 The stamped lotus on the gPants contrast in shape with the simple lotus on the dress but are all tied together nicely with the shades of pink and magenta. The product pictures I’ve seen online don’t do it justice; the lotuses on the pants are brighter and the color is bolder and deeper than the pictures can portray. 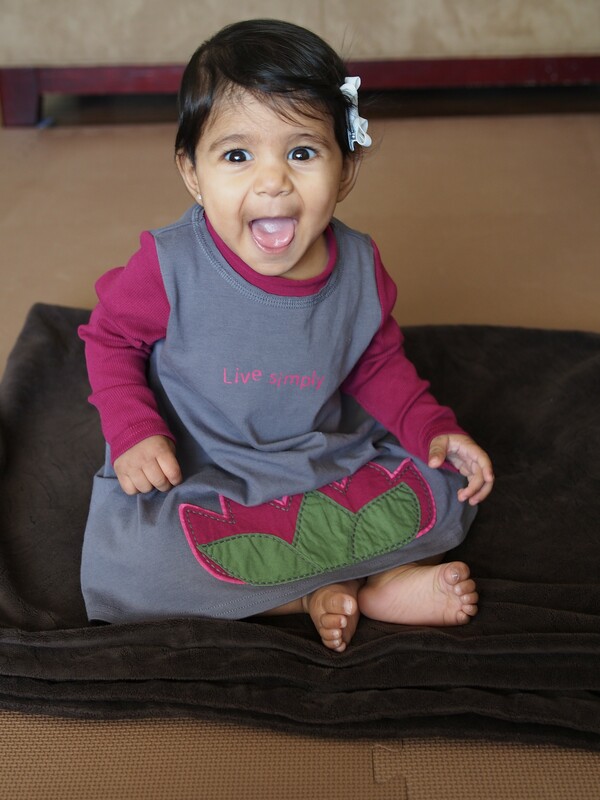 How sweet is Super S in this diaper and dress?!?!? I especially like that the gLotus is out in the fall because Diwali is coming up. Diwali is the Hindu New Year and it’s the most important holiday of the year. The goddess Parvati, who is the wife of Shiva and the mother of Ganesha, is always depicted with a lotus. She embodies the balance of womanly strength and gentleness and is associated with motherhood. That and I just love lotus flowers! All in all, I’m a fan of this outfit (and am anxiously awaiting an event to attend where I can show it off). The dress is $34.99 and the matching gPants are $21.99, available at gdiapers.com. 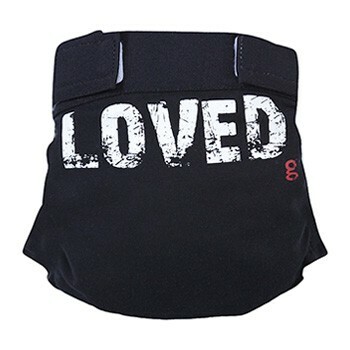 AND they have matching gLegs ohm to keep your little lady warm in the colder months. Oh so cute. Get yourself a gLotus set. SERIOUSLY. 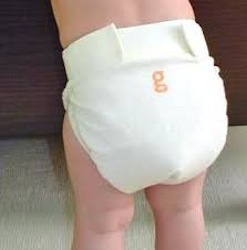 *Disclosure: gDiapers sent me a gLotus set, but this review was not sponsored in any other way, and all text, photos, babies displayed, messes in the background, and opinions are my own. I’ve been wanting to put together a collector’s guide that included a full list of all gPants that gDiapers has put out for a while now but hadn’t gotten around to it. The following isn’t complete but I think it’s a good start. I did my best to get high quality, official pictures but had a hard time finding a few. If you have any info or pictures that would help fill in some blanks, let me know in the comments section. 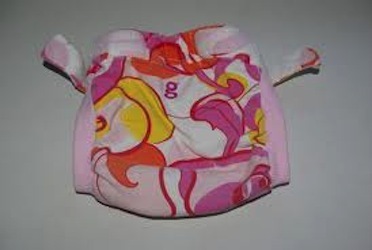 Or if you don’t have any info, just tell me your top 3 favorite gDiapers of all time. Cuz I’m nosy and want to know. I’ll do my best to keep this up-to-date. And don’t ask me why the spacing is weird on some of this…I can only conclude it’s because wordpress hates tables. Please, wordpress. Don’t hate the table. Hate the game html. Or something like that. I’m tired. And I hate the game, the table and the html. And possibly wordpress. No, that’s not true. Thanks! A while back, I wrote a post about how I stored and cared for my gDiapers and it looks like it was helpful to a few people so now that we have a new baby, a different home and a different washing machine, I thought I’d do an update post on how we care for our g’s now. I don’t think one is better than the other; just different now that I’m in a different place. 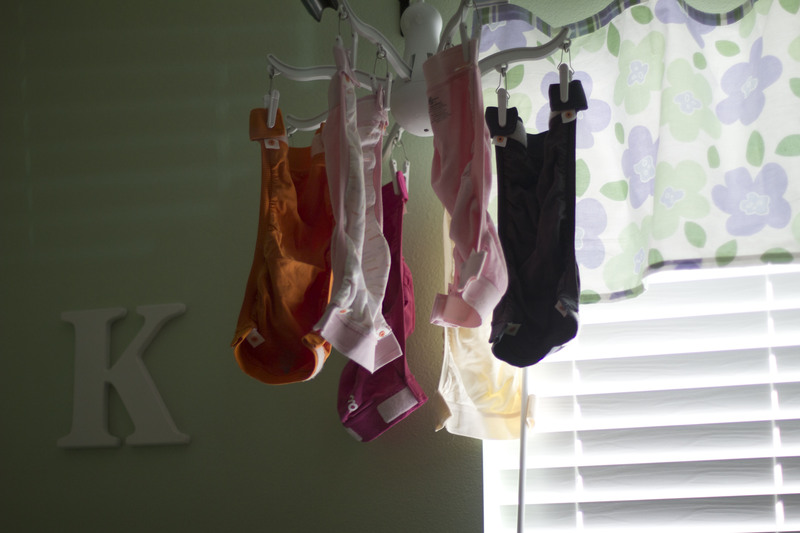 That’s the weird part about cloth diapering. There’s no one size fits all solution. Every situation is a little different and you have to tweak until you get it right for you and your family. I’m going to use some pictures from the last time I did this because some of it’s the same and the pictures still apply. Here goes! 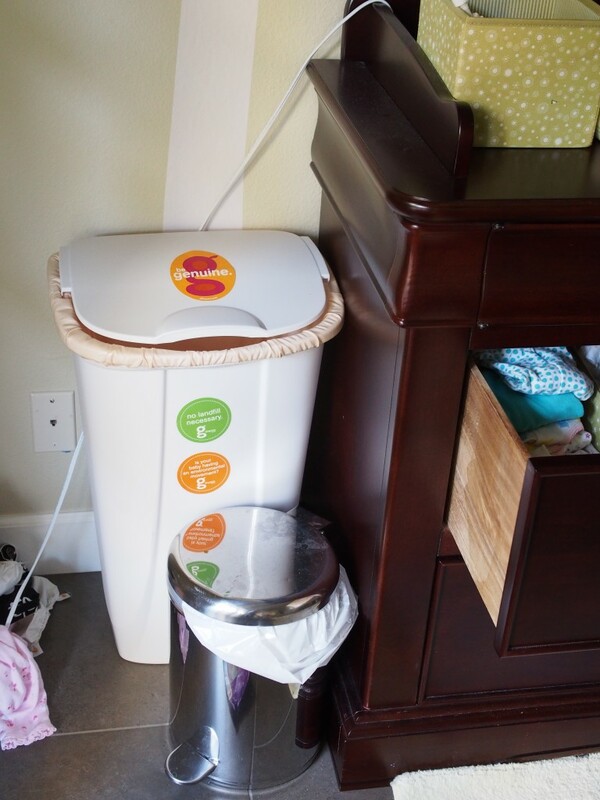 I store my gDiapers folded with the velcro attached, lined up in one of these bins from Ikea. In a second bin, I keep a bunch of pouches. I put both bins in a drawer underneath the changing pad where I change my daughter in her room. When it’s time to change my little one, I grab a new pant, snap in a pouch, and lay in a cloth insert while she either smiles at me or screams at me to hurry the heck up. Since they’re in the drawer below where she is, I can safely assemble the diaper because my body blocks her from rolling off the dresser and changing pad. I’d definitely recommend keeping the diapers within arms reach of where you change. Once the diaper is assembled, I grab a cloth wipe (also in a drawer below her changing pad) and spray it with water to wet it. I’m trying to cut back on how much we send to the landfill so I’ve been trying to avoid using disposable wipes at home. 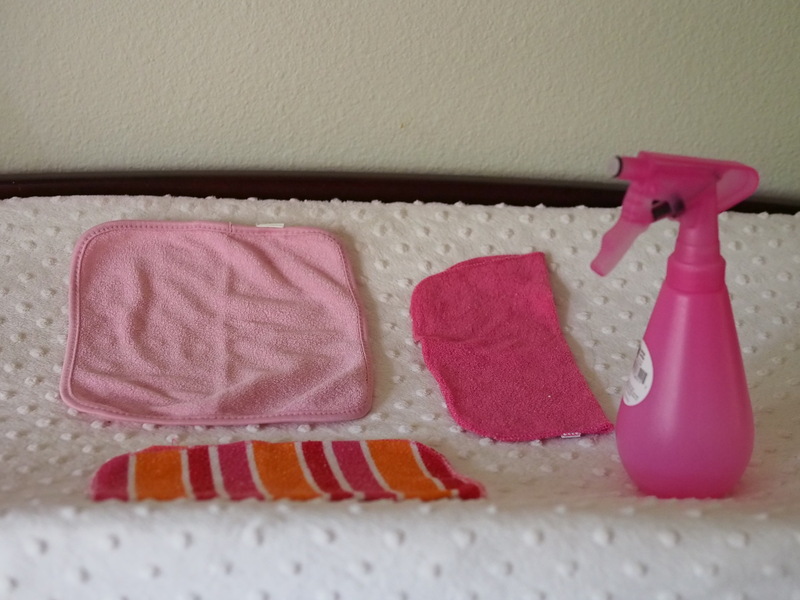 So I just bought about 15 of these simple washcloths (cost between $.16-$.25 each) and a spray bottle ($.99). With my older daughter, I used to make a solution of 1 TBSP baby wash, 1 TBSP olive oil and 1 cup water and store that in the spray bottle. But for Super S, I’ve just been using water and it’s worked just fine. After wiping baby, I replace her diaper and clean up. If the diaper is just wet, I drop the cloth insert into my diaper pail. 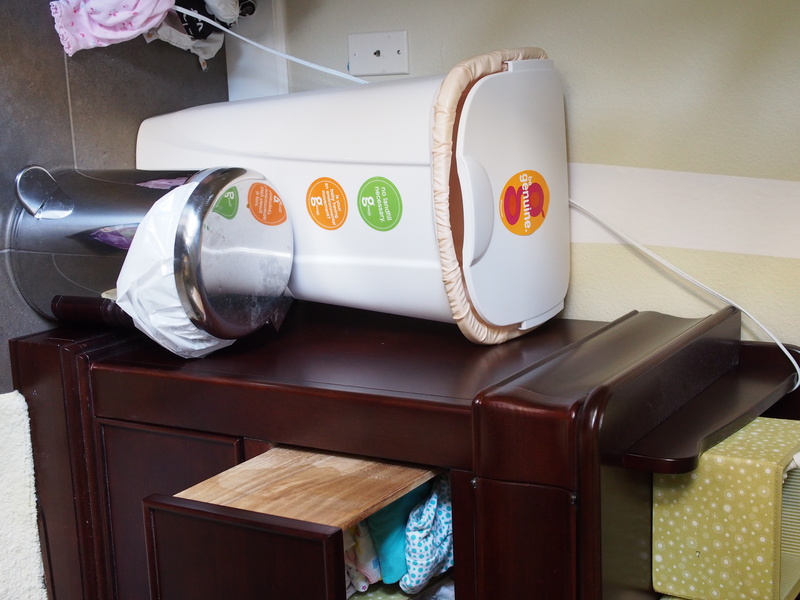 I use a cheap-o plastic swing top garbage can with a Planet Wise pail liner inside. I have two pail liners that I alternate between so there’s always one available while the other’s in the wash. The diaper pail is next to the dresser so I can reach it while she’s on the changing pad. I “vandalized” it with my gMum stickers. My favorite one says “No Landfill Required,” which I like because it’s a garbage can but I don’t use it for garbage – see how that works? 😉 I also have a step top lid garbage next to that so I can trash disposable inserts or disposable wipes when I use those. If the diaper is a dirty diaper, I unsnap the pouch and after putting the baby down somewhere safe (like her crib), I take the pouch with the cloth insert and wipe inside to the bathroom sink and rinse them all out. Because my baby is currently EBF, the mess can safely go down the drain. 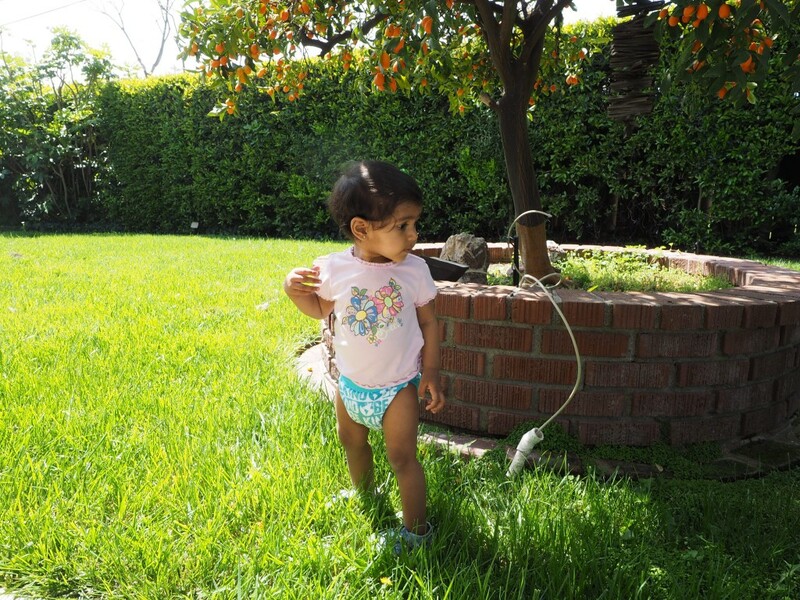 When she gets older, I’ll use my diaper sprayer to drop the mess into the toilet bowl. 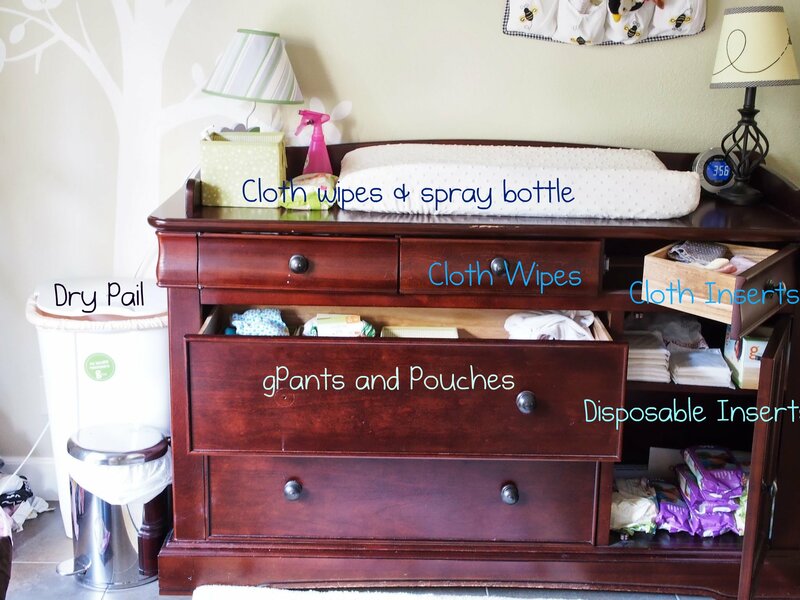 The insert and wipe then get dropped into the diaper pail and the gpants and pouch go into the dirty clothes basket in baby’s room. I like to fasten the gpants as if they were on the baby and turn it inside out. 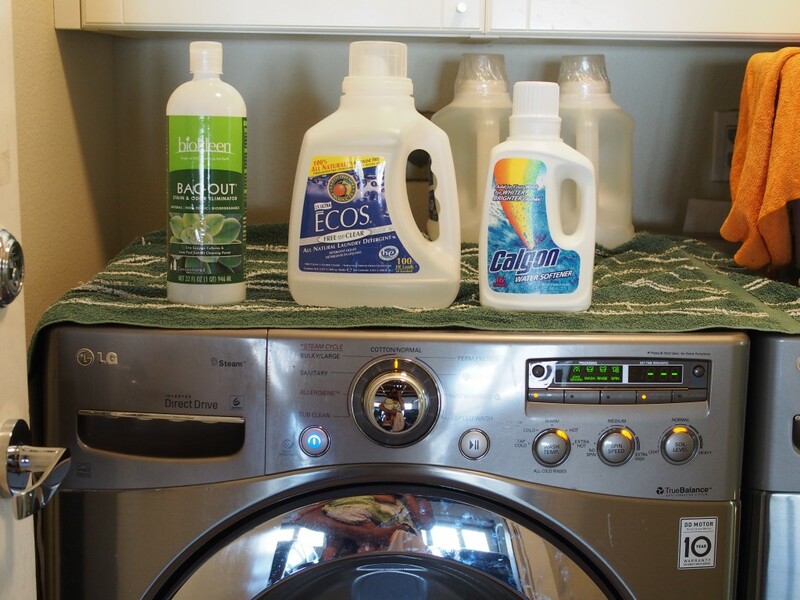 Wash: Hot with Ecos Free and Clear and Calgon water softener, along with the “Water Plus” setting. I use half the amount recommended on the Ecos and Calgon bottles. The Water Plus feature allows more water in the wash,. Extra Rinse and Spin on cold. And here’s a totally not helpful picture of what my washing machine looks like when I press all the buttons to accomplish this. I just noticed you can see me holding my little one in the reflection on the rim of the washer. Ha! To help ensure that all the detergent is out, when the wash is done, I do an extra rinse and spin cycle. Now this might be overkill but I do want to make sure that the diapers are clean and we’ve been using the cloth inserts for over three months now with no signs of build up or needing to strip. So it’s working for us. The drawback? This super routine takes about an hour and a half in the washer. That doesn’t seem terribly earth friendly but I won’t compromise on sanitizing when it comes to baby. The load then goes into the dryer on high for 35 minutes. 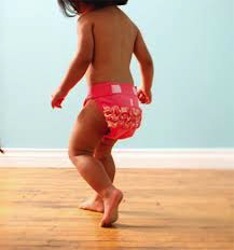 No dryer or sheets or anything else to two-step with. 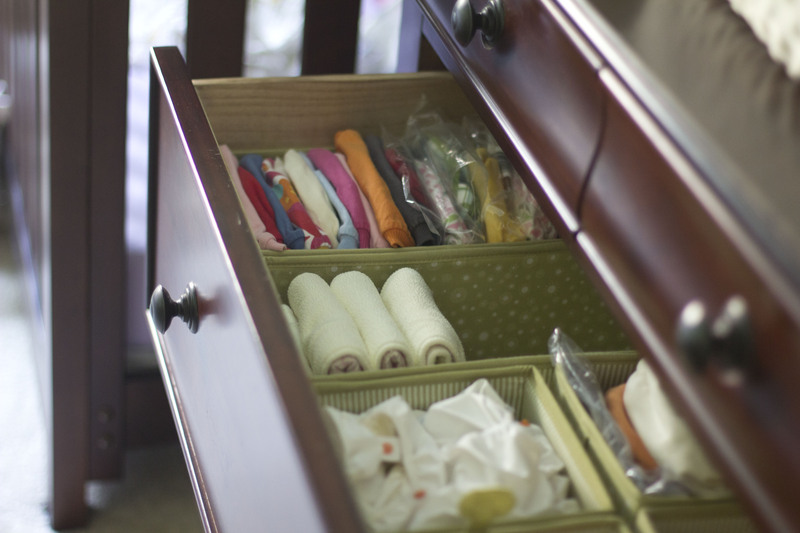 Just cloth inserts and wipes. Dryer sheets will deposit junk onto your inserts so don’t use them. The pouches and gpants get washed with the rest of baby’s laundry. I throw all the gPants into a undergarment wash bag, zip it up and start the wash. You can either just fasten the laundry tabs to prevent the velcro from sticking to everything else in your laundry (as seen on the right below) or fasten them as if they were on the baby (as seen on the left). I also like to turn them inside out. 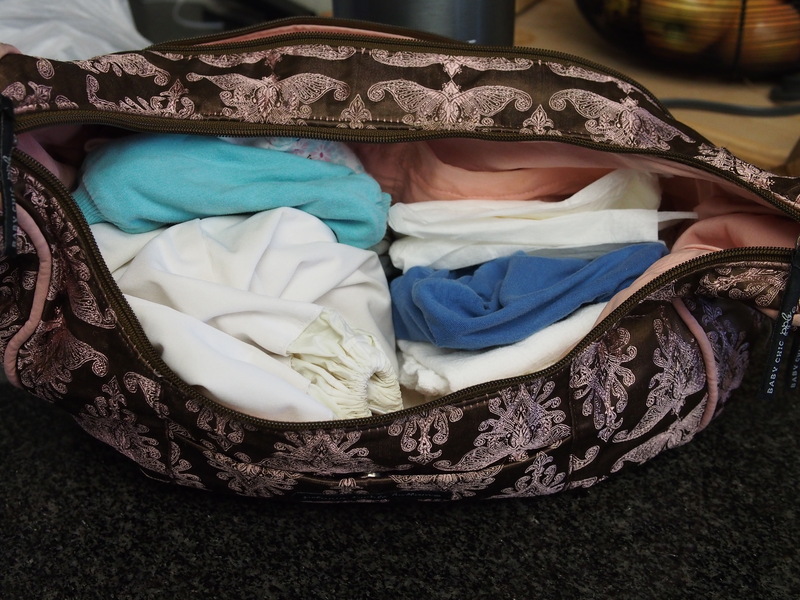 I used to put all the pouches into a separate undergarment wash bag so that they would be easy to fish out but I’ve found that they aren’t getting as clean as they should when they’re in the bag in our new washer. 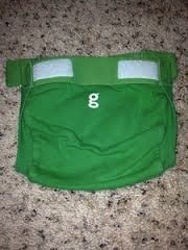 gPants and pouches are washed on either warm or cold (not hot – it will deteriorate the waterproof lining on the pouches over time). When the wash is done, I sort out the pouches (inevitably one will get past me and end up in the dryer) and grab the bag of gPants. I throw all the pouches on top of the washer to dry and hang up all the gPants using this octopus garment hanger from Ikea. Just like the hot water, the dryer will eat at the waterproof liner of the pouch over time so laying flat to dry is recommended. 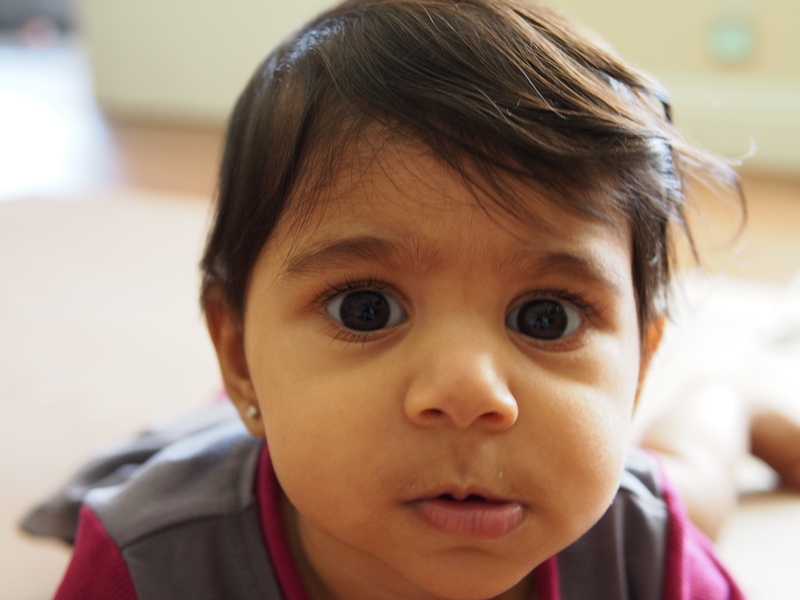 My older daughter sings an octopus song to it whenever she sees it – we both think it’s cute. When the pants are dry, I fold ’em and put ’em back into the drawer. It sounds complicated, but once you get the hang of it, it becomes routine. I usually do two to three washes of inserts a week and currently have (more than) enough pants and pouches to get me through about a week. Hope this helps! What’s your routine? One thing I love about gDiapers is how versatile they are. I can still use them easily while away from home. A reader asked if I could do a post on how I do that so here goes! 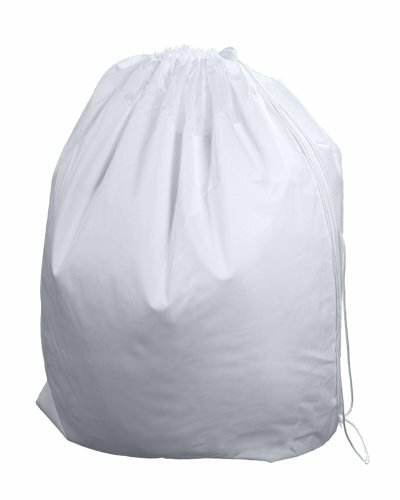 drawstring wet bag. I like it because it has a nice wide top so i don’t have to worry about getting my hands dirty and I can easily shake out the contents. Sometimes I stuff the gDiapers with cloth inserts and sometimes I just stuff them with the disposable inserts. Usually I just take into account how long we’re going to be out and how far we’re going. For longer drives or occasions where I won’t have an easy way to change her, I prefer using the disposable inserts because they hold more than the cloth inserts do. If I’m just heading out to the market, then cloth works great and is my preference. The important part is that they’re assembled ahead of time so the diaper change is as easy and quick as possible. Usually I just swap out the diaper. If I’m using cloth, and it’s a wet diaper, I throw the cloth insert into the wet bag and drop it into my dry pail when I get home. If it’s a dirty diaper, I unsnap the pouch with the insert inside, roll it up and throw it in the wet bag. Some people swish the insert in the toilet but I’m not comfortable doing that in a public bathroom. Right now I’m only dealing with EBF poo so it’s no big deal. When she starts solids, I will shake out as much of the mess as I can into the toilet and then put it into the wet bag. Or to make things even easier, you can use disposable/flushable liners on top of your cloth. After swapping the diaper out, I then assemble the diaper for the next change, toss any wipes I used in the trash, and throw the wetbag into my diaper bag. If there’s a leak, I toss the pants into the wet bag too. I’ve never had stink issues. I have, however, forgotten to bring my wet bag. In those instances, I use a plastic bag if I have one or wrap the insert in a pouch and paper towels and hope it doesn’t get things around it wet. One of my diaper bags has a plastic pouch built in so I use that. If I’m using a disposable insert and I’m using a changing table within a bathroom stall, I will rip up the insert and flush it. If the changing table is outside the stall, then I just roll it up and toss it. If it’s a dirty diaper, I take the pouch and put it in my wet bag. If I’m at someone’s house, I usually put the insert into my wet bag and dispose of it when I come home. You never know who has a septic tank and the refills aren’t recommended for septic tanks. Since my baby is exclusively breastfed, I sometimes will rinse out the pouch before putting it in the wet bag. When I come home, I just dispose of the disposable inserts like I normally would, drop the pouches and wet bag into the dirty laundry and the cloth inserts into the dry pail. That’s it! Usually when I travel, I use the disposable inserts. It just makes life much easier. The only exception is if I’m going for an overnight trip or if I’m staying with my in-laws who have a washing machine and usually have cloth diaper safe detergent at their house. It’s like our second home so it’s fine. In general, you don’t want to wash the diapers in public washing machines because they may have detergent build up, which may transfer to the inserts and then you have to strip them. If you do plan on washing while traveling, I’d suggest taking Soap Nuts so you can take just what you need without worrying about spills or measuring like you would with liquid detergent. When I go up to my in-laws’, I take a regular pail liner/wet bag with me to store the inserts between washes and just keep it on the floor of the bathroom (we usually don’t share a bathroom with anyone else). If I’m just going for an overnight trip, then I just take a wet bag and do what I would do while out and about for the day. Usually while travelling, I pack 2.5 gPants per day and 1.5 pouches per pant. The nice part about the pants and pouches is that you can wash those without any concerns about detergent build up. In an all-in-one cloth diaper, you would have to be more careful. I also take the usual number of diaper changes per day and add an extra two per day to calculate the number of inserts I’ll need. If you’re going to be gone for a while, you might want to consider ordering disposable inserts online and having them delivered so you don’t have to take up so much space in your suitcase. I’m never sure about how good the toilets are at hotels so I usually just throw them away instead of flushing and rinse the pouches so that they’re not too gross when I get home. I try to balance convenience with greenliness (how do ya like THAT word???). If you’re comfortable using only cloth inserts and cloth wipes, great! If it’s too much hassle, you can use the disposable inserts and wipes – gDiapers are flexible! 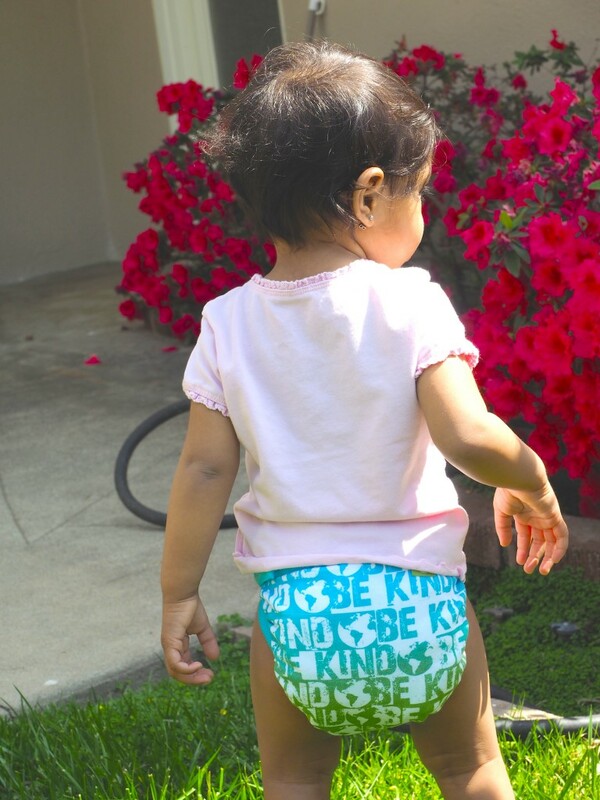 Since I have such a love affair with gDiapers, naturally I planned on using them for our second little one. With Miss K., I started using them at around 3-4 months old so I never had the chance to use the newborn size of gDiapers and was excited to give them a go this time around. Newborn gpants are for babies 6-10 lbs. Super S was 7 lbs 3 oz so sizewise they were perfect. 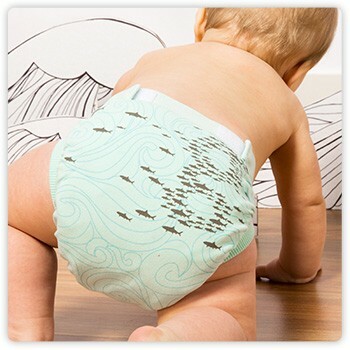 These diapers have a built-in nylon liner and gDiapers recommends that you use their biodegradable/flushable/tossable disposable inserts inside the diapers and not cloth (although many gMums say they’ve had great success with the cloth inserts as well). And they’re cute. 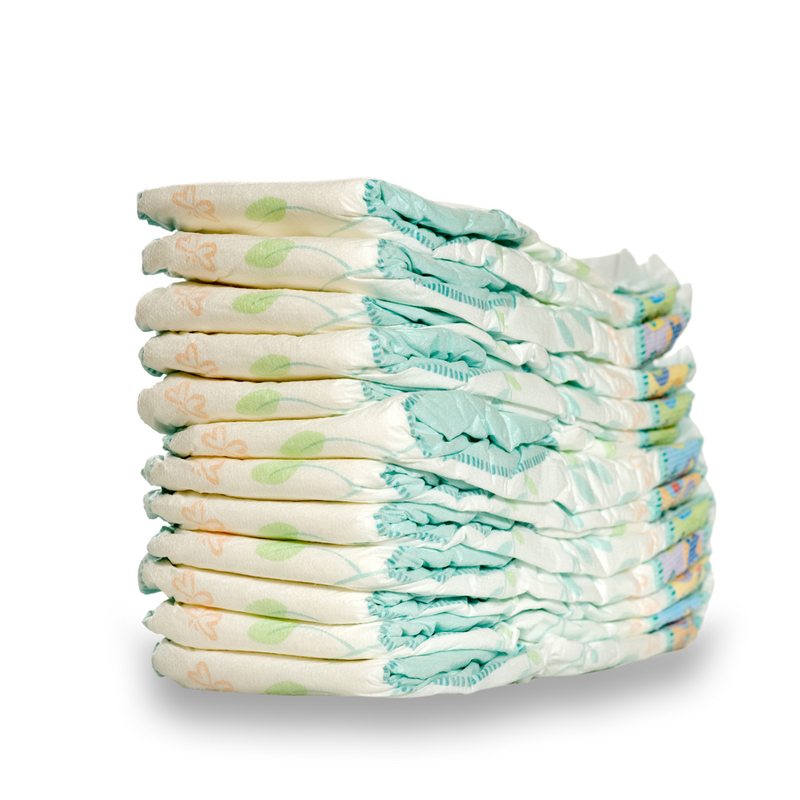 In comparison to your typical disposable, they (like all cloth diapers) do require some extra work. You have to stuff them with an insert, you have to store them until wash day, and you have to wash them. Since we cloth diapered our first daughter, this wasn’t a big deal but I have to say – in the middle of the night, I’m not really thrilled to have to stuff a diaper. So i got around this by prestuffing all the diapers and stacking them within easy reach of the changing table. You do also need to keep track of how many clean diapers you have left before you need to start the next load of diaper laundry. I washed frequently enough to where I never had a smelly situation but I suppose that would be another consideration. So let’s break these apart and see how good of a fit the Newborn gPants were for us. As I mentioned earlier, I used a combination of disposable inserts and cloth inserts. 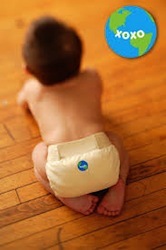 Every time I used cloth instead of a disposable diaper, I was saving trash from going to the landfill. Score! Every time I used a gDiapers disposable insert, I should have been saving trash from the landfill but I wasn’t unfortunately. The disposable inserts are biodegradable so you can compost them, but you probably don’t want to do that at home if you have poop on them. As anyone with a newborn who’s breastfeeding knows, pretty much every diaper is a dirty diaper. And moreover (my father-in-law is the only person I know who actually uses this word in conversation), I currently have no means to compost so the point is moot anyway. The other option is to flush them down the toilet. This also would have a better environmental impact than a disposable. But we had plumbing issues with the inserts and weren’t able to flush them either. BOO. I was really disappointed about this because I successfully flushed their inserts for 18 months in our other home. But I couldn’t at this new place with crummy plumbing so I had to toss them. And I don’t have the full story on this but my surface-level understanding is that most landfills are so packed that trash can’t really biodegrade. Sigh. So even the inserts that would be better than the plastic/petroleum based typical diaper didn’t have the benefit I wanted. 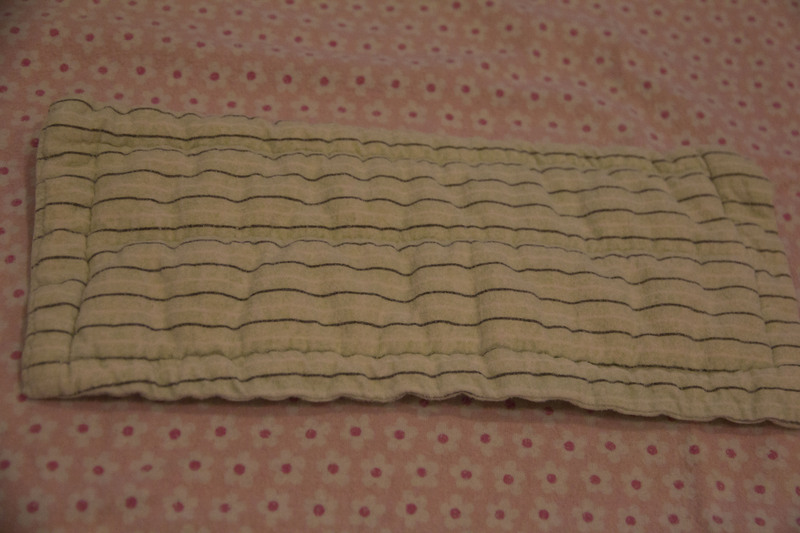 BUT I still think there was some benefit to the environment because I did use the cloth inserts some of the time. AND if I were able to flush or compost, then this would have been an A.
Yay. The composition of the inserts are all natural and are “certified cradle-to-cradle, which means that everything that goes into them will go back to the earth in a neutral or positive way. 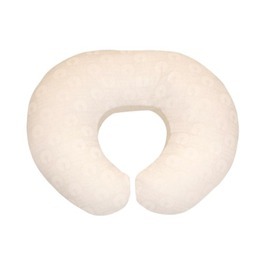 They are made of cellulose rayon, fluffed wood pulp, and super absorber. That’s it. They’re elemental chlorine free, latex free, perfume free and dye free. The cellulose rayon and fluffed wood pulp comes from sustainably grown and harvested softwood. Super absorber is sodium polyacrylate (SAP) and is a green and non-toxic water absorbing polymer. gDiapers Cloth inserts are made of 2 layers of polyester microfleece and 2 layers of hemp/cotton.” If you were to look up the composition of a typical diaper, my guess is that you’d see a lot more chemicals. 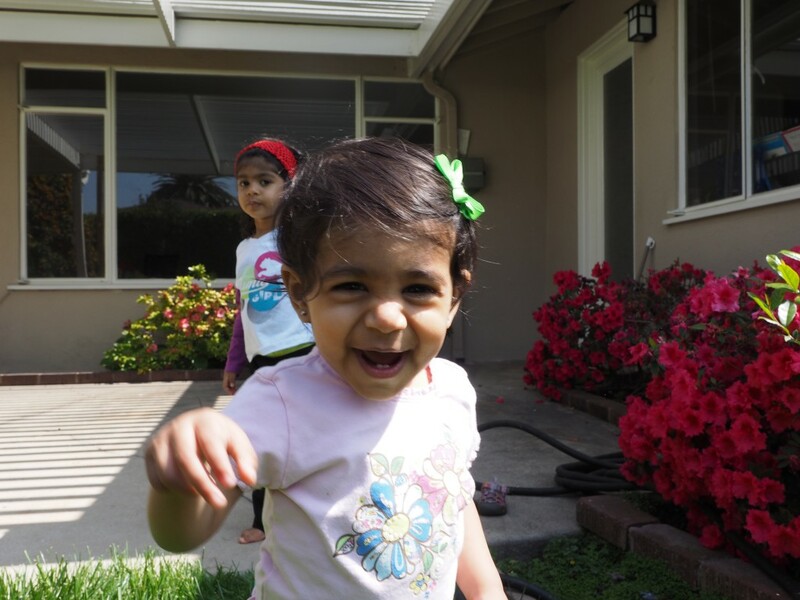 The good news – Newborn gPants have awesome resale value. I had bought 24 newborn gPants and then realized I could probably get by with just 12. Luckily I had gotten a killer deal on all 24 and was able to resell the 12 new gPants that I didn’t use as well as recoup my costs on the 12 that I did use. I also had picked up the disposable inserts for a great price so I was stocked up on those at a price that was comparable or better than the typical disposables I would have otherwise bought. gDiapers’ cloth inserts are pricy at $5 each retail. But I’d be able to use those in my small gDiapers and will likely be able to recoup some costs if I can find a buyer for those as well. We used these newborns for about three and a half weeks. So yep, I’d say we saved money! 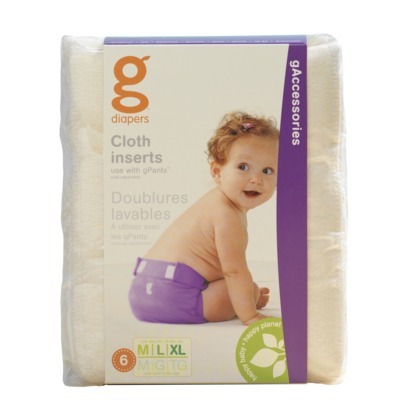 When using the gDiapers disposable refills as recommended, we were by and large leak free. And definitely no up-the-back poopsplosions. The diapers did a great job of keeping it all contained. When I used the cloth inserts, I wasn’t as successful. I found that she quickly wet through them and sometimes the moisture made it all the way out to her clothes. BUT again, that was almost by choice since I chose to go against the company’s recommendation. After about a week, I resolved to only use the gcloth for quick changes – for example, she would often pee and/or poop while I fed her. So I would change her before a feeding and again during or after. This worked out fine for the most part. So would I recommend these? I really think it depends. If you’re a first time parent, I think you have enough on your plate without having to do extra work to diaper your infant and figure out how it all works. I’d recommend skipping the newborn size and starting with smalls instead. OR if you typically have big babies or know (based on ultrasound estimates) that you’re going to have a large baby, then you could probably skip them as small gPants are for babies starting at around 8 pounds. On the other hand, if you are having a small baby, then these are great, especially if you can meet your goals. Looking back, I’m not sorry I used these but maybe the ease of a typical disposable would have been nice so it’s not a resounding “I’d definitely use them again!” I will say it feels good to say that, for the first month of her life, we only sent 20 disposable diapers to the landfill (the 20 that the hospital provided). We have a baby due in a little over two weeks. Eep. Geez Louise. I have to admit that we’re not exactly on the ball like we were last time. I guess we have plenty of stuff for her (thanks to our first baby and my SIL/BIL having had a baby a little over a year ago) but I’m not nearly as well read as last time. At this point the nursery is done, her clothes are washed and my hospital bag is (mostly) packed. Well, it’s “packed.” All our stuff is sitting on a chair in our room. Need to put it in a bag and get a bag for hubster. 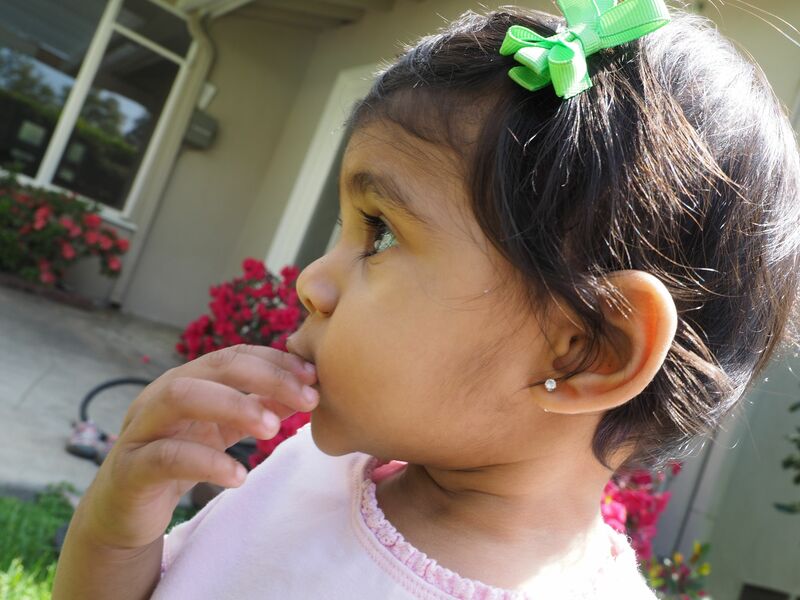 I feel confident yet anxious at the same time…This time I’m more concerned about handling both the newborn and the toddler (and making sure both of their physical and emotional needs are met). The anxiety comes from feeling like I’m over-confident. So I’ve been trying to sneak in some reading here and there as a refresher on breastfeeding, infant care, sleeping, etc. Well, in thinking about all the preparations, I thought I’d do my short list of baby things I loved with my first daughter. I’d love to hear what products you loved too! Of course this had to be first. 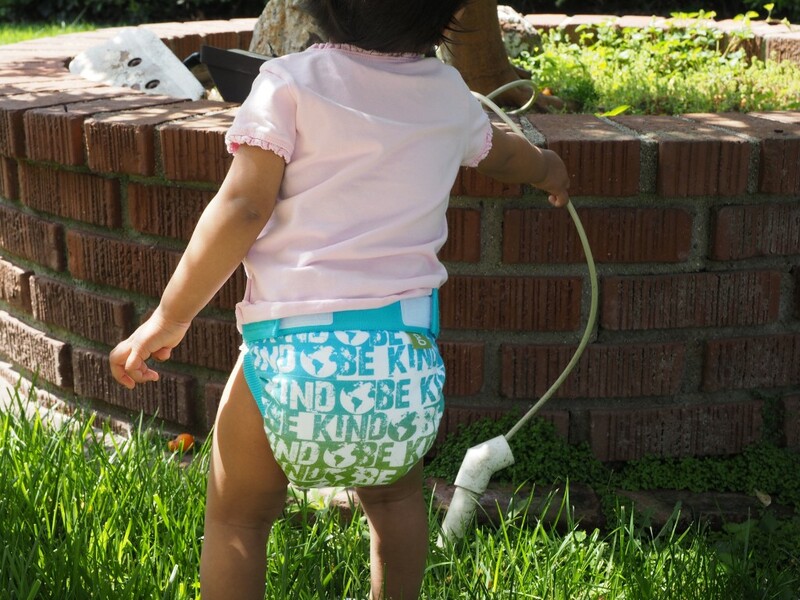 gDiapers are hybrid diapers that allow you to use either cloth inserts or flushable/biodegradable disposable inserts. I love that they’re baby and earth friendly, I love how they look, I love that they’re versatile, I love their company, I love that they prevented crazy up-the-back=blowouts and I love that they’ve served as a gateway to a greener lifestyle for us. They’ve been a great money saver too. 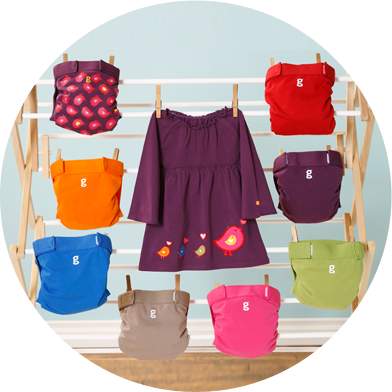 I like some of their accessory products too, like their gTote, wipes, babylegs, and gStyle clothing. I think they’re all good quality products. gRefills are made in the USA, so that’s a bonus too. 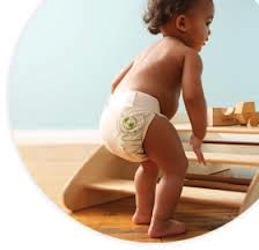 Along with cloth diapering comes the need to use cloth safe ointments for baby’s bottom. I wanted something natural if possible too and was thrilled to find Earth Mama Angel Baby Organics‘ Bottom Balm. It worked great for us, was safe for her cloth diapers, and I never worried about what ingredients were touching her most delicate parts. Ya, it’s definitely pricier than say desitin, but I liked it. It’s also safe for scrapes and cuts on baby’s delicate skin. While many swaddle/receiving blankets are made of 100% cotton, I loved these particluar ones because they were so versatile. I used them to cover her stroller/carrier when she was sleeping, as a swaddle blanket, rolled up as neck support, as a coverup while breastfeeding, as a light blanket while travelling, and best of all as Karina’s lovey. For a long while, the giraffe or monkey blanket was part of her sleep association. These blankets are very lightweight and thin and I love how breathable they are. So I picked up four more for baby number two! Karina had two blankets and that was plenty, though. Like the bottom balm above, the blankets are more expensive than the typical receiving blanket but I think it’s worth it. I had both the Boppy and the Brest Friend but found that the Boppy worked better for us. First, because the Brest Friend sat too high when placed on the arms of my rocking chair and secondly because we could also use it for tummy time. I also have a snoogle and they claim you can use it for nursing but I never used it that way. What are some of your favorite baby products? OMG – I’m a guest blogger! Yippee!!! And definitely check out their other articles when you’re over there – they have some great stories about some fabulous moms. Spend a little time there and you’ll understand why I’m hooked! Thanks gDiapers!